1. How can I claim payment of deceased account / certificate holder? The claimant may be the nominee or legal heir. If there is nomination, the nominee can prefer the claim in the prescribed form along with death certificate. If there is no nomination, any one of the legal heirs can prefer the claim in the prescribed form [SB84]. For this death certificate and consent statements of all legal heirs are required. Claim up to one lakh can be settled. If the claim is exceeding one lakh, claims can be settled by legal evidence ie, by probate of will or succession certificate. 2. How to transfer accounts and certificate? For transfer of accounts- the depositor should apply in the prescribed form SB10(b)​ or manual application. The application can be given either in transferring office or transferee office. For transfer of certificates- the investor should apply in the prescribed form[NC32]. The application may be given in either of the offices. 3. 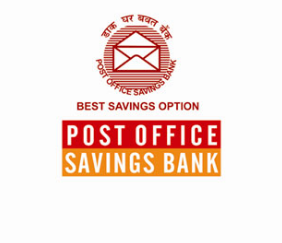 How to open an account in post office and its requirements? 4. What is silent account and how to revive it? 5. What are late payment fees for recurring deposits? The monthly deposits should be credited on any day of the month. If the monthly installment is not credited for any particular month, then it becomes a default. The defaulted months can be credited subsequently (for INR. 10/- denomination, 0.020 rs for each month of default) maximum 4 defaults are allowed. 6. What is the procedure for the issue of duplicate certificates? The investor should apply in the prescribed form for duplicate certificate in respect of lost, stolen, destroyed, mutilated or defaced certificates (NC29). The application shall be accompanied by a statement showing particulars of certificates and furnish an indemnity bond in the prescribed form with one or more sureties or with a bank guarantee is required. In case of mutilated or defaced certificates, no indemnity bond is required. 7. How I get duplicate passbook? Application in the prescribed form or manuscript application may be given by affixing prescribed fee in the form of postage stamp. New duplicated Passbook will be issued by sub post offices only. 8. What are the norms for issuing a Cheque Books? 9. What are the service charges for outstations Cheque? Cheque realization charges for outstation Cheque. 10. Can Monthly Income Scheme (MIS) interest be credited to Recurring Deposit (RD) account? 11. What is the minimum balance required for an account? 12. How I can get encashment of certificates / account before maturity? Maturity period 5 years (for certificates issued on or after .01.11.2011). No premature encasement​possible. 13. ​ Are there any charges for the use of ATM Card ? Charges in respect of different types of ATM transactions are given below.